Without a doubt the most trusted home loan today is the fixed rate 30-year mortgage. Whether you are considering a government loan like FHA, VA or USDA, Fannie Mae or Freddie Mac, the fixed 30 year mortgage rates are always the most popular and most frequently monitored loan program. 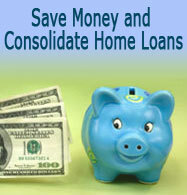 Bridge is one of the lenders who have access to the lowest rates. Our lending team can help you get your loan in process while keeping you posted on today's 30-year mortgage rates. Once the current 30-year mortgage rates fall to the level that meets your needs, we will help you lock the rate for 30, 45, 60 or even 90 days. First time home buyers should consider a FHA mortgage with a fixed rate for 30 years. According to the Mortgage Bankers Association, borrowers in the U.S. still prefer the fixed rate 30-year mortgage almost 4 to 1 over the 15-year mortgage. People like 30-year mortgages because the interest rates are fixed and the payments are low because they are amortized over 360 monthly payments. 30-Year home loan rates haven't been this attractive in decades so don't wait for too long. Federal mortgage giant, Freddie MAC revealed in their weekly survey that the fixed rate 30-year mortgage crept up slightly to 3.375% for qualified applicants paying with 0.5 in lender fees. Why Should I Compare 30-Year Rates Online? Anyone can quote a low rate over the phone, but if you are shopping for thirty year loans online, we recommend that you get these rate quotes in writing. You will likely weed out some unprofessional loan companies in the process, because sadly, not all of the companies you talk to will comply with the Federal laws and disclose the terms of the loans and interest rates. 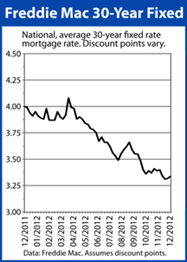 Bridge Mortgages suggests comparing 30-year mortgage rates and terms when shopping for home purchase refinance mortgages. Freddie Mac confirmed the average interest rate on the 30-year mortgage fell to 3.125%. That's well below the 3.25% last week and the lowest since long-term home loan rates began being recorded in the 1950s. MBA reported that adjusted Purchase Index remained the same as the previous week. The home purchase loan index is over 7.6% higher than this week last year. The Lead Planet reported that refinance mortgage leads dropped over to 30% the previous week. The company noted that the 30-year mortgage rates remained at record lows, but the holiday weekend had a dramatic effect on the volume of mortgage refinance applications.